Falls Creek Mountain Bike Park is 40km of world class gravity trails, high in the rooftop of Victorian Alpine National Park. 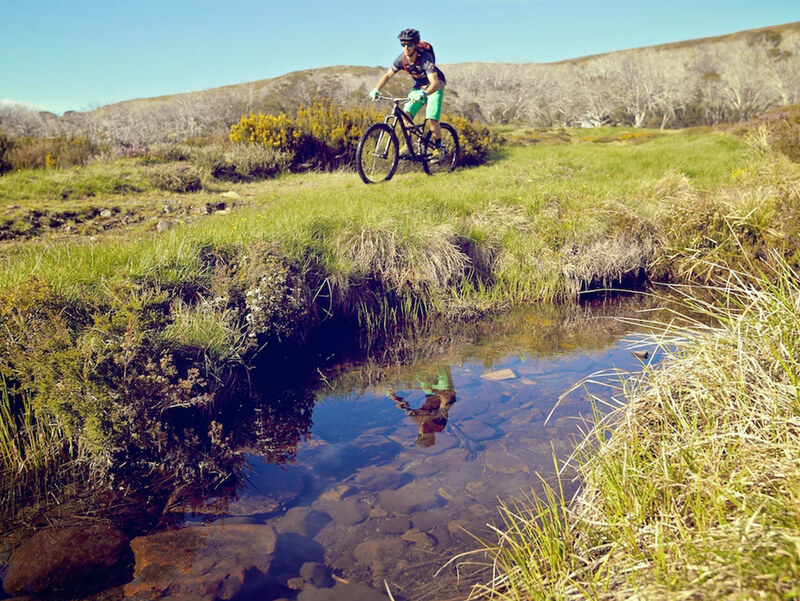 Designed and built by World Trail, Falls Creek's Park is a showcase of gravity and flow in beautiful alpine terrain. Our trails have been built with the rider in mind. Accessible to the newest of bikers and enticing to the most experienced, all trails start in finish in the resort. Easy cruiser, fun flowing descent or all-mountain bash, we've got it and it's all at the doorstep of a ride-in, ride-out village. This is truly mountain biking for all riders. You might have ridden the old Summit Home Trail (or the goat track as the crusty old riders know it) but we've given it a well-needed to makeover to reintroduce as BIG FELLA! We've added berms, jumps and a good dose of flow to bring this trail up to spec - it's rated blue above the junction (where you can peel off to Eagle Rock via new uphill Graveyard) and brings the noise a bit more for the black-rated bottom section. Ride it now from the Summit to the massive Big Fella water tank at the top of the village. Who says advanced riders should get all the fun? We want everyone to take in as much of the mountain as possible so we're proud to launch GREENLINE, a 5km green-rated run from the Summit to the banks of Rocky Valley Lake. This is a ride all can enjoy and gets beginning riders hopping off at the summit shuttle stop with the advanced. Greenline uses the Summit Road (we'll build new singletrack to replace this - watch this space), Eagle Rock, Turbine and Lakeview to link up 5km of fun green trails or 9km if you add in Short Circuit and Induction to get back to the village. Flowtown is a dead-set legend of Australian mountain biking. 6km of free-flowing trail, it's a stacked deck of berms, jumps and rollers with a final 3km that rides more like pump track than gravity trail. This is laugh-out-loud kind of fun that doesn't go out of style. Flowtown is the rider's trail, ridden both cruisey or hard with equal exhilaration. For early intermediates it's a perfect milestone trail but pick the speed up and send-it on the subtle, yet hugely effective launches and you'll see this trail is for more than introductions. We're a mountain resort, you came here to ride mountains right? From the lofty heights of the Summit to the thick forest of the Ticket Box, Victoria's longest unbroken gravity ride is a massive 535m descent through 3 of Falls Creek's best trails in High Voltage, Wishing Well and the no-introduction-required Flowtown. It's a cracker of a course and all up totals over 10km of trail. This is wall to wall descent so you can grab the full face & leave the low gears alone. Looking for something less hectic? Generator to Vortex is another brilliant combination through Falls Creek's snowgum country back to the village. Don't be put off by the myth mountain biking is too extreme. Did you know 70% of riders prefer to ride beginner and intermediate trails? At Falls we get this and over 10km of our trail network is deliberately built friendly for those new to mountain biking, even for your first time on a bike! Our green trails are perfect to learn the ropes (and figure out the difference between a berm and a roller) and all trails start and finish in the village so it's never hard to get back to where you started, ready to ride again. Plus did we mention Greenline? Read the top of the page! Ride, Party, Enjoy - the tag says it all. Falls Creek kicks off the opening weekend of the MTB season with a blinder of a social event, Ignition. Sweet demos, regular shuttles, a dedicated BEER HALL, skills sessions...a pretty tidy way to kick off the official MTB season. Lock away November 17 & 18.
Who says guys are the only ones who ride? 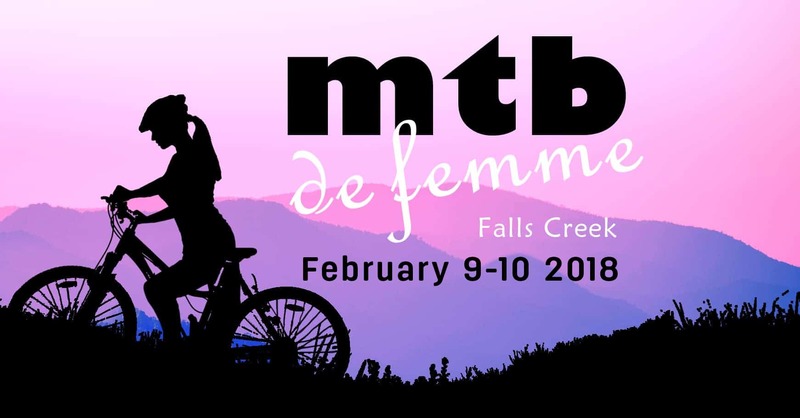 MTB De Femme is a ladies-only social weekend stacked with activities & sessions for girls who ride bikes. Full shuttles, skills clinics, yoga classes, picnic rides and so much more await. Get the gang together & book it in for February 9-10. We're working on some big plans for the future, including an extra 40km of world class trail. 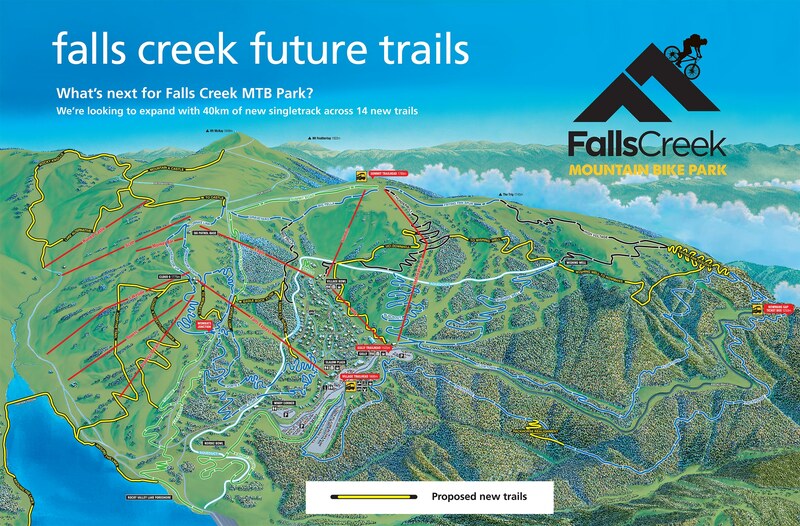 Watch this space as we look to bring Falls Creek MTB park into the next level of mountain biking destination.